It was another cold day in North Central Wisconsin. We had snow a few days ago and I might remind you today is July 1. We are pretty tried of the cold temperatures. 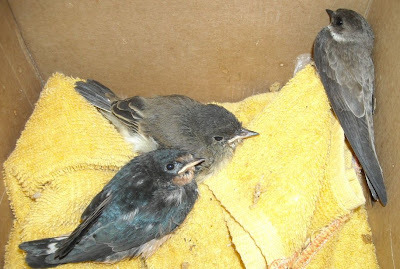 The native birds that have diets made up entirely of insects such as swallows, nighthawks and phoebes are coming in to rehab now because they are starving. Our region that has jokes developed entirely on the huge mosquito problem in the summer has an absence of any insects due to cold. UNHEARD OF! We got a call early this morning about a young Bald Eagle that apparently had fallen or injured herself on her maiden flight from the nest on the Stevens Point Golf Course. 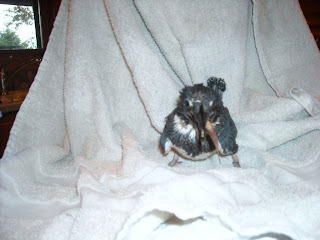 Steve Fisher and I went to investigate and captured the beautiful youngster without incident. 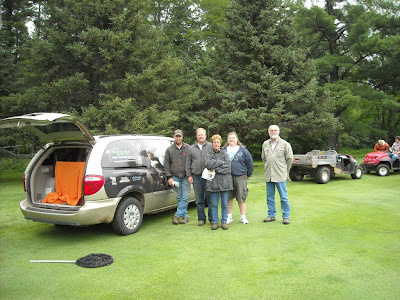 Many thanks to the fine folks at the Stevens Point Golf Course for observing the problem and getting help for the little one even as golfers continued to play. Special thanks to Sally for sitting near the little one until help arrived. 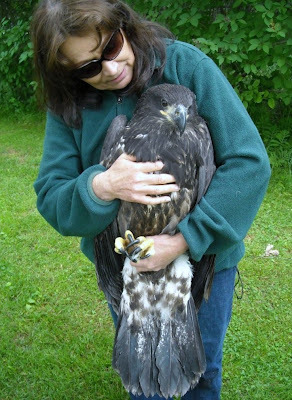 People are always amazed at how big young bald eagles are at such a young age. Their egg is a little larger than a duck egg and within 12 weeks are pretty much full size and often weigh more than their parents at that time. 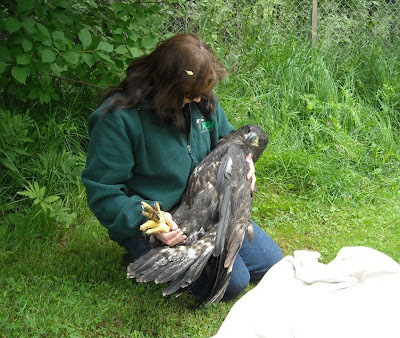 Back at the REGI clinic the eaglet was weighed, a physical was done as was blood work. She is anemic, but does not have lead poisoning which honestly is surprising. 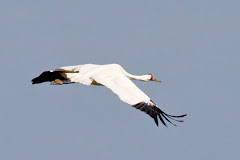 Lead poisoning is so common in these amazing birds and others we have come to expect it. That is a sad commentary on our toxic environment. The eaglet has not yet eaten on her own but has been tube fed and is resting comfortably. More tests will be done tomorrow. She is not with a foster parent yet but if she checks out tomorrow she will be put into the fostering chamber with our other eaglet and the foster dad. The less time she spends away from an adult the better at this age. It will be easier for her to transition back to her parents when she can go home. We hope her stay here in not extended, but we will know more tomorrow. I complained in the last blog about the weeds getting taller and not having time to cut them. That very night a volunteer showed up in the form of Mike Brietenfelt. 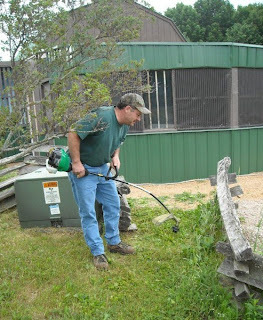 Mike has a day job, but wants to help us out too. We are grateful. have are terrific. Many thanks to Mike for his help. We hope he comes back lots and lots. Our patient numbers continue to grow. 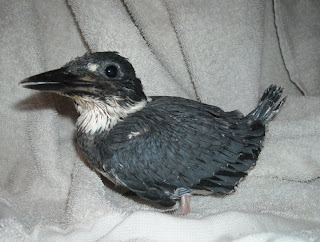 People have called to see how the Belted Kingfisher kid is doing and we are delighted that she is well and growing. The Osprey is still having problems. She can only digest liquid food and tests indicate she has liver damage. I hope it is temporary. My great staff is tube feeding her many times a day to keep her in calories. I am signing off for tonight, but will be back tomorrow. I HOPE tomorrow is a bit warmer.